Renewable energy generation capacity grew 171 gigawatts (GW) in 2018, according to new data by the International Renewable Energy Agency (IRENA) on Tuesday. Total renewable energy generation capacity reached 2,351 GW last year, up by 7.9 percent. With the new additions, renewable energy capacity now represents a third of global power capacity. Solar energy showed the largest growth with a capacity increase of 94 GW, followed by wind energy with an increase of 49 GW. Hydropower capacity accounted for the largest share of the global total, at 50 percent, with an installed capacity of 1,293 GW at the end of last year, the report showed. Wind energy made up 24 percent of total renewable capacity while solar hit 20 percent. Other renewables included 115 GW of bioenergy, 13 GW of geothermal energy and 500 MW of marine energy, which collectively constituted 6 percent of total generation capacity. 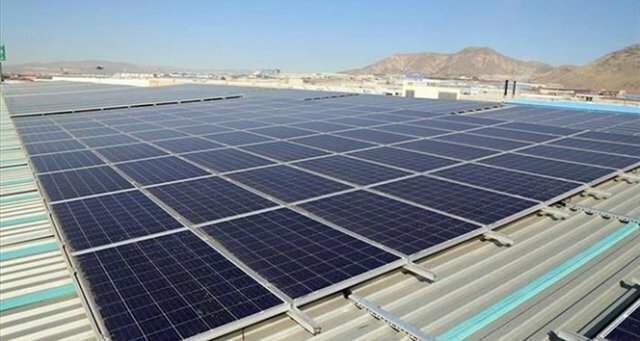 Asia accounted for 61 percent of new capacity in 2018, totaling 1,024 GW of renewable capacity. Asia accounted for 44 percent of the global total. In terms of annual growth, Asia and Oceania were the fastest growing regions, with 11.4 percent and 17.7 percent, respectively. Europe expanded by the same amount as last year, with a 4.6 percent increase. Growth in North America recovered slightly, with an increase of 5.4 percent. Capacity growth in Africa remained the same as 2017, with an increase of 8.4 percent. The report underlined the importance of more countries taking a more committed stance towards renewables. "While the growth of renewables has been impressive, the transition to low-carbon energy production will require that more countries and regions not only switch to expanding renewable capacity but also start to retire or convert more of their existing fossil fuel power plants," IRENA underlined.